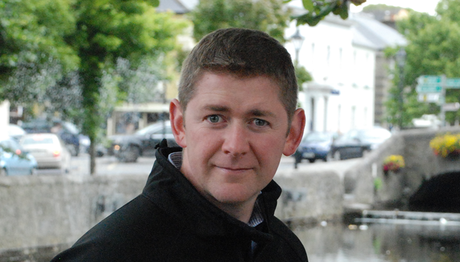 Michael FitzGerald, is CEO and founder of OnePageCRM, the award-winning Sales application for SMBs. OnePageCRM reinvents the sales function by building in a workflow that focuses on the “Next action” for each contact. The company is headquartered in Galway, Ireland with offices in the USA and Poland. Join us in this interview, as Michael shares some business advice and the startup story behind this company. 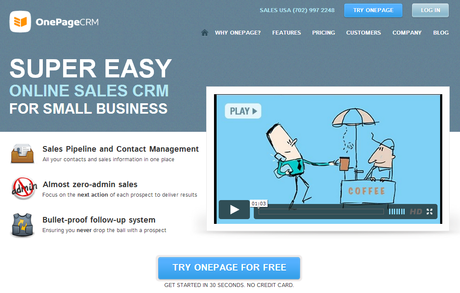 Q: Please tell us a little bit about your company – what is OnePage CRM all about? OnePageCRM has reinvented the sales function by building-in a workflow that focuses on the “Next action” for each contact. This award-winning proactive approach helps salespeople interact with contacts at just the right moment, which means they’ll never drop the ball with a lead, prospect or customer again. The company is headquartered in Galway, Ireland with offices in the USA and Poland. Q: Please tell us a little bit about your background and how you started your company? Originally an Electronic Engineer, I’ve worked as a Sport Science Technologist to Olympic Athletes and Medical device product design before venturing into the world of code and in the internet. Software had been a hobby for a long time, so I turned it into my full time focus in 2004. OnePageCRM started out as a Minimum Viable Product within a client services company I was running, after I discovered existing solutions didn’t actually help you sell – just deliver fancy charts to management. It quickly got notice by bloggers as a very interesting concept and we’ve been building out the functionality from the early concept ever since. That core concept is still at the heart on OnePageCRM – where Contacts with their associated next action floats to the top of a dynamic list and turns red when attention is required. Q: What are some of the projects you are working on right now? We’re working on a bunch of integrations to other business apps like Twilio, Xero, Freshbooks, and Quoteroller, as we understand we are a part of a bigger business ecosystem for our users. We are also working on mobile applications as sales staff is moving to tablets and we need to be there. Q: What are your plans for the future, how do you plan to grow this company? We plan to make OnePageCRM the app of choice if you are serious about driving your sales – as opposed to just ‘managing’ contacts and pipeline. Managing is not good enough! You want sales? You need to be ‘proactive’. We’re growing subscriptions from business development deals, integrations, social, referrals and paid customer acquisition. Q: What the top 3 mistakes you made starting your business and what did you learn from it? (1) - Not thinking enough about the target market. Our first version of the product was for the “sales by business owner” market. It turned out these guys are really hard to pry away from Excel. (2) – Not putting enough time into “telling our story”. As a startup you’re brand is open, you need to tell your story well, concise and consistent to form your brand. (3)- Thinking that people pull out their credit card easier than they actually do! I quickly learned that you need to build trust before you can make a sale. Trust can only be built from executing well in many areas of your business, like support, product, marketing materials and your story. Q: Please share some advice for newbie entrepreneurs, someone who’s just starting out. Take the step in the direction of your business idea. Don’t over-analyse or you’ll find plenty of reasons (and people!) to say “no, don’t do it”. By walking in that direction you find the knowledge of your market, customers and product/service. You might need to change direction, but you’ll never know unless you start to walk! Q: What was the best business advice you have ever received and who gave you this advice? Q: What are the top 3 online tools and resources you’re currently using to grow your company? Q: What’s your definition of success? Q: What are three books you recommend entrepreneurs to read? Q: What is your favorite entrepreneurship quote? Q: How can our community get in touch with you? On twitter @micfitzgerald or [email protected] and ask for it to be forwarded to Mic.